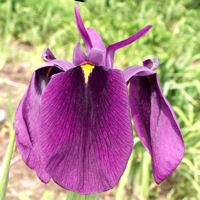 The flowers have been hybridized in Japan for hundreds of years. They were very popular in American estate gardens in the beginning of the 1900's then fell out of favor in the great depression and the war with Japan. 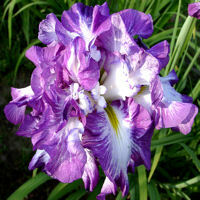 American hybridizers have introduced many new varieties and their popularity is increasing again. 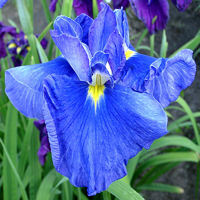 Nearly every gardener who sees Japanese iris in bloom wants to try them. 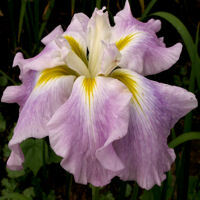 The huge blossoms can be dinner plate size, but 6-8" is common. The plants prefer rich acid soil with ample moisture (about an inch of water a week). Large plants need two inches per week. Read the CULTURE page to see if your climate is suitable.